Multiple Locations; please see http://1000islandswritersfestival.ca/schedule/ for the full list. Experience our reader’s and writer’s paradise in the heart of the beautiful 1000 Islands, in the charming historic town of Gananoque, Ontario. The 1000 Islands Writers Festival opens the door to a weekend full of opportunities for wonderful stories, conversations with Canada’s most talented authors, local songwriters, live entertainment, writing workshops, and fabulous meal engagements. This is where we live Reading by the River. Join us at the renowned Thousand Islands Playhouse as we celebrate our vibrant arts community in Canada. The beautiful Firehall Theatre, nestled beside the St. Lawrence River overlooking the Admiralty Islands, will be festival central for book and ticket sales, as well as host for many of our festival events. In the summer months the Thousand Islands Playhouse hosts one of the top summer theatre festivals in Ontario, presenting engaging and professional shows since 1982. Up close and personal! The 1000 Islands Writers Festival’s signature Living Room Sessions offer truly unique opportunities to meet and engage with guest authors in the relaxed and intimate ambiance of some of the finest B&Bs of the region. 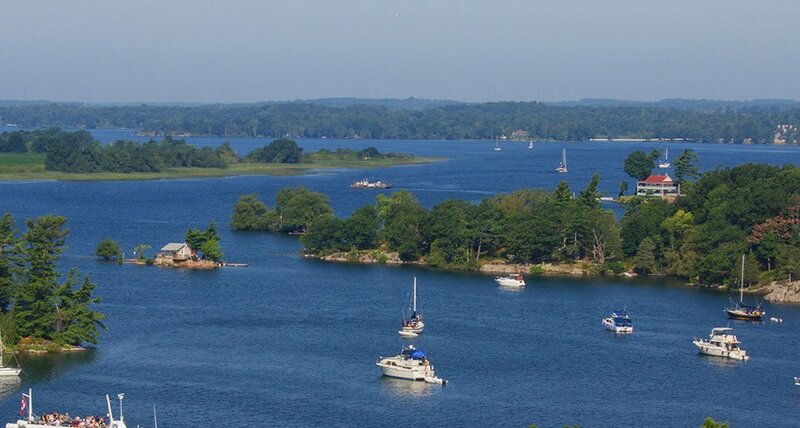 These accommodations also offer the perfect getaway for those visiting the 1000 Islands for the weekend. Special events will also be taking place throughout the community at locations including The Thousand Islands Boat Museum, The Arthur Child Heritage Museum, Heather Haynes Gallery, The Old English Pub and the Gananoque Public Library. Be sure and visit Beggars Banquet Books, our official festival book sellers! Beggars Banquet books were recommended as one of Canada’s Best Bookshops of 2017. Tom and Alison have a great selection and will carry all available books of our visiting authors. Look for them online, at their store in downtown Gananoque, and at the Firehall Theatre on our festival weekend. The warm and friendly 1000 Islands community is brimming with book lovers and storytellers alike. Join us in the 1000 Islands this April for an experience to remember! Follow the festival on Facebook, Twitter and Instagram to stay up to date!